I noticed that the White House unveiled today its proposal for many changes in US taxes. I don’t normally comment on current political controversies and am not going to do so now, whatever my private views are on the policies. But, as someone with an interest in 21st century technology, I did take notice of one thing about the proposal that I’ll comment on– admittedly something not as important as other aspects of the plan, but something that seems so outdated. It is another example of how, for all the talk about technology and change, far too many people – especially public officials – are still subject to what the media expert Marshall McLuhan called the “horseless carriage syndrome”. 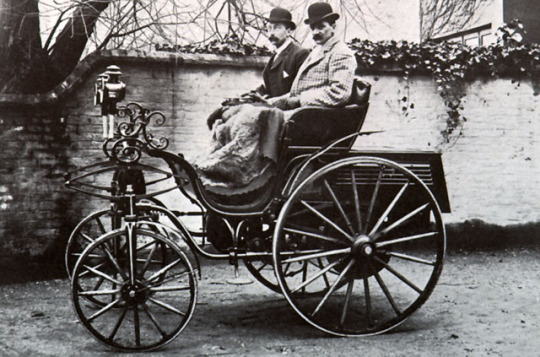 When automobiles first getting popular a hundred years ago, they were seen as carriages with a motor instead of a horse. Only much later did everyone realize that the automobile made possible a different world, including massive suburbanization, increased mobility for all generations, McDonald’s and drive-ins (for a couple of decades anyway), etc. Cars were really more than motorized, instead of horse-driven, carriages. Similarly, tech is more than the sometime automation of traditional ways of doing things. Which brings me back to taxes. In pursuit of a goal of simplifying the tax system, the White House proposed today to reduce the number of tax brackets from seven to three. 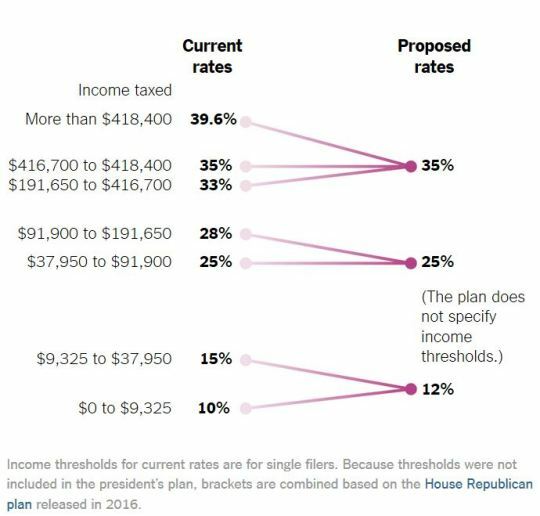 And that brings me to a question I have previously asked: why do we still have these tables of brackets that determine how much income tax we’re supposed to pay? The continued use of tax brackets is just another example of horseless carriage thinking by public officials because it perpetuates an outmoded and unnecessary way of doing things. In addition to being backward, brackets cause distortions in the way people make economic decisions so as to avoid getting kicked in a higher tax bracket. But we no longer have to live in a world limited to paper-based tables. Assuming that we don’t go to a completely flat single percentage tax – and even the White House today doesn’t propose that – there is nothing in a progressive tax that should require the use of brackets. Instead, a simple system could be based on a formula which would eliminate the negative impacts of bracket-avoiding behavior that critics of progressive taxation point to. And all it would to implement this is an app on our phones or the web. An app could the most basic flat tax formula, like “TaxOwed = m * TaxableIncome” where m is some percentage. It could also obviously handle more complicated versions for progressive taxes, like logarithmic or exponential formulas. No matter the formula, we’re not talking about much computing power nor a very complicated app to build. There are tens of thousands of coders who could finish this app in an afternoon. Again, the reduction of tax brackets from 7 to 3 is not among the big issues of the proposed tax changes. But maybe we’d also get better tax policies on the big issues from both parties if public officials could also reform and modernize their thinking – and realize we’re all in the digital age now.